Vi at Bentley Villages is very high end and nice. It was the luxury version of these kinds of facilities. The staff who toured us was very friendly and knowledgeable. The dining area was very high end and prepared by their own staff and they don't outsource it. All their chefs are trained by the Culinary Institute of America. The menus were nice and the options were good. We observed the pool which was quite nice, both indoor and outdoor. The gym facilities were high-end. We also looked at their walking trails, activity rooms, movie theater, all of which were well-appointed and nicely-maintained. A lot of my neighbors and friends have opted to go to Vi at Bentley Village, but I personally didn't like it. It was a little old, even though they are building some new sections. The residents seemed happy and the staff was pleasant. The lunch we had there was OK. The facility was very nice. Thank you for taking the time to share with us your feedback. We’re disappointed to read that your visit was not as you expected. All feedback is an opportunity for us to improve our guest experience. We hope that neighbors and friends enjoy their stay at Vi at Bentley Village! Reach out to us if you have any more questions. The reason I chose Vi at Bentley Village is because I was pleased with what they had to offer. I didn't need a place to live, but if something's going to happen they have the health care to back me up. The staff is outstanding, they're very supportive of who they bring in and they train them well. We have three gourmet restaurants, we also have another restaurant or a sports bar by the PT room. The activities are second to none, so I'm very pleased with the place. They're very good about the orientation of what's available, the services, and such. I will be getting a 2-bedroom unit, it's a three-story structure, and the top floor gives you a good view. The meals I had there were outstanding. Vi at Bentley Village is excellent and everything is very good. They have lots of entertainment, a golf course, and the meals look very good. I was given a remarkable tour when I went. My visit with Vi at Bentley Village went very well. The rooms were very nice but very expensive. They served meals, but I could not remember how many. They had an activity list. The place that I will choose when the times comes is Vi at Bentley Village. It’s the one I liked the best and is definitely my first choice. It was an excellent facility with wonderful food and accomodating staff. I liked the units that were available, and it's in the neighborhood where my daughter lives. You have to go in as an independent living person. They do have assisted living, but it's directly from their population. I visited Vi at Bentley Village. It is not all assisted living; it is a CCRC community. The campus was large. They have a golf course and separate club house and everything. The rooms/apartments were very nice. I would say that Vi at Bentley Village is very safe; however, I didn't think it was kept up as well, but of course, it was an older facility. Well, they are renovating. They're putting a new clubhouse and another assisted living. Vi at Bentley Village was excellent, but expensive. The apartments seemed very satisfactory, and the grounds were lovely. We liked what we saw -- we just didn't want to pay their entry fee. The activities seemed to be adequate and very encompassing. It's very large with a golf course. The landscaping and the grounds were impressive. They're adding units, and they're demolishing some old units. They're also redoing the dining rooms. It's a lovely location. Vi at Bentley Village was very nice, except that you had to go out for your meals, and that was the only drawback. I have been there; the meals were fantastic, and the people were wonderful. Vi at Bentley Village was a good one. I'm very impressed with it. They had a very active activities section and that's very important to me. I liked that I went there and I'm going to put it on my list to go back and see after the first of the year. We visited Bentley Village. I like the overall impression of what is available there and the nature of this facility. It is very well-maintained, very spacious, and very accommodating kind of organization. I also like the kind of people that are residing there. I came across Vi at Bentley Village when I saw it on the paper and I also had friends there. The only big problem is you have to put down for a one bedroom, 250,000 and for a two bedroom, 300,000. Basically, it's not refundable. They use all that if you need assisted living and the rest of it is there. It's ridiculous. I visited the place and there was a gentleman who explained everything to me. He's very, very nice but I told him I'm just not going to give him that kind of money. If I was younger it would have been fine. Imagine waking up every day to your own private golf course. Enjoy refined amenities, an endless amount of lifestyle activities, unparalleled service, and a beautiful environment to live in that you can call home. Vi at Bentley Village, a Life Plan community also known as a continuing care retirement community (CCRC), is located in Naples, Florida. Our independent and assisted living retirement community is located on 156 sprawling acres. Within our location includes a private, 18-hole golf course, tennis and bocce courts, pools, clubhouses, spa, exquisite dining and meals, stocked fishing lakes, and much more to enhance the lifestyle of senior living. 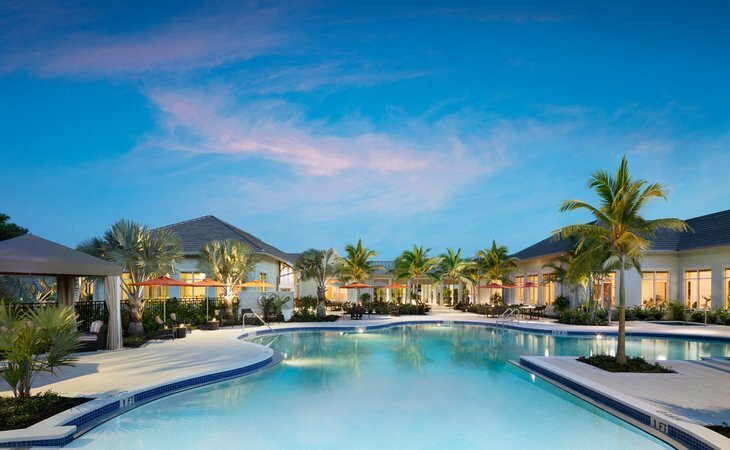 Best of all, community is a quick ride away from Florida’s pristine Gulf Coast beaches. Vi at Bentley Village has it all to deliver residents an enriched lifestyle like no other. The benefits of living at Vi at Bentley Village don’t stop within our community either. Whether you want to visit the areas of North Naples, Fort Myers, or many other destinations, everything is a short drive away. Visit the entertaining and cultural attractions offered, such as Naples Pier, the exotic scenery of Naples Botanical Garden, the many golf courses Naples has to offer, the beautiful waterside shops and much more. Vi at Bentley Village is dedicated to providing our residents an upscale senior living. From our award winning service to distinguished amenities, you’ll question whether this is retirement or a resort. At Vi at Bentley Village offers three different pricing options, depending on the percentage of return. Your entrance fee and monthly fee pay for your apartment home, as well as access to our onsite continuum of care. The entrance fee is a one-time fee paid when you move into the community, and is based on the floor plan and return option you choose. Additionally, your monthly fees - which are directly tied to the floor plan you choose - also cover a range of services including: maintenance of your home, housekeeping, dining, transportation, and more. Should you move or need to access the care center, your independent living monthly fees will not increase, aside from community wide increases, the cost of additional meals and ancillary items as needed. What should caregivers and potential residents know about Vi at Bentley Village ?